Goldstar.com is offering discount tickets for Wild Kratts Live 2.0 coming to both Seattle & Portland this September 2018. The show will be on Saturday September 29th at 4:30pm in Portland at the Keller Auditorium. And it will be on Sunday September 30th, 2018 at 4:30pm at the Paramount Theater in Seattle. Tickets are regularly priced at $40, but with the discount from Goldstar, they are $32/ea for tickets. This all-new theatrical stage show is based on the Emmy-nominated animated television series Wild Kratts. 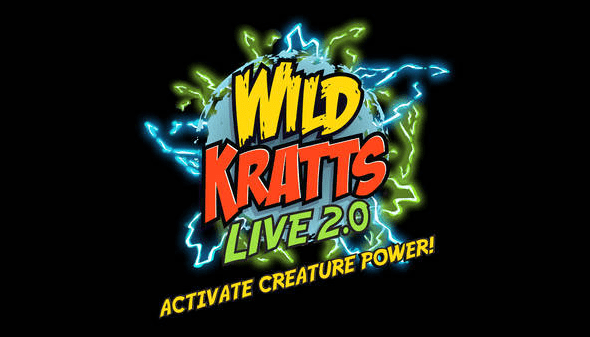 Stars Martin and Chris Kratt will step out live onstage to engage you and your family in a classic Wild Kratts story. Starting off in their headquarters — the “Tortuga” — the brothers receive a message about a animal in trouble. Always ready to help, they pull on their “Creature Power” vests and gloves and they’re off. The adventure doesn’t work as planned, which results in hilarious pratfalls and slapstick fun. But they press on, encountering some amazing “Wow Facts” about animals, presented via large-screen multimedia video footage, as they rescue their animal friend and return it to its natural home. Wild Kratts LIVE 2.0 brings creature power to Seattle’s Paramount Theatre.